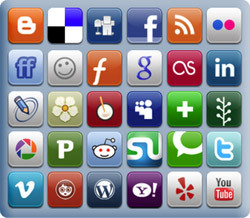 Promote and manage your brand identity on hundreds of Social Networks with our services. Social Media Marketing is the most powerful communication tool of today and necessary to promote any business, product, or service. Articles, blogs and videos are the key to driving traffic to your website and increasing your rankings on Google, Yahoo and Bing. We create the content professionally and distribute it to the top social networks, you get more sales and a better reputation online! Modern Internet marketing is all about Social Media Optimization. Our SEO experts take your website to the best social platforms & social networks so that you can have ample exposure on Google and search engine follow ups. With one-way and mutual link building, your website will have much better visibility in the search engine indexing. 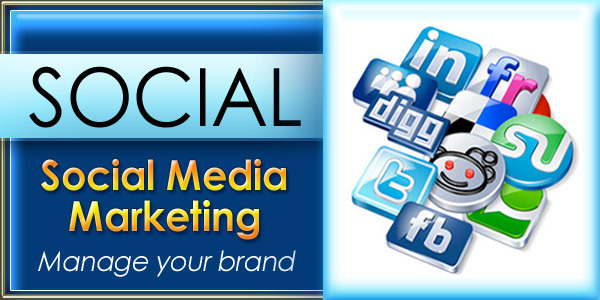 Our SMO services drive Internet traffic, improves your brand value and makes a lasting impression! We submit your SEO Optimized Article with 3-5 keywords to hundreds of article directories. Your existing articles are spun into hundreds of unique articles to avoid spamming the search engines with duplicate content. Each approved article gives you between 1-5 incoming links to your website. We research and write a custom 350 word SEO Optimized Article with 3-5 keywords about your product, service or promotion. We submit and upload your Video with 3-5 keywords to over 20 of the top video sites and social networks. We optimize keywords, titles, descriptions and tags for the highest approval and play rates. You supply us with your logo and 2-3 pictures and we create a slideshow about your business. We recommend this service if you do not have videos. Video Marketing increases your online reach. Also, you should consider Video Blogging on a regular basis for maximum exposure. We can send up to 25,000+ Friend requests for your company video every month. You will get thousands of new friends, views and subcribers each month. In addition, we optimize keywords, titles, descriptions and tags on your YouTube channgel for the highest approval and play rates. Your channel is customized with company links, logos, and background. We send your release to over 30,000 journalists, news sites, PR agencies, and blogs. We research and write a custom 350 word SEO Optimized Press Release with 3-5 keywords about your product, service or promotion. Auto Update the status of 30 Major networks with keywords, links and photos. A custom email address will be provided and will update all 30 networks with one email. Unlimited use. Contact Us for custom packages and more info. * Please Note: Client is responsible for copyright of any content submitted to SEMpros.